Ultimately though, the most interesting aspect of Shepard’s book I believe is the way in which he manages to humanize the most demonized group of political operators in American history. Figures cruelly turned into remorseless and corrupt hatchet men are instead portrayed as sympathetic figures that came to Washington yearning to change a broken and damaged system. Yes, these are flawed men, all, but they all worked hard for their countries, in and out of government, they had friends, families, loved ones and they cared deeply for our country. 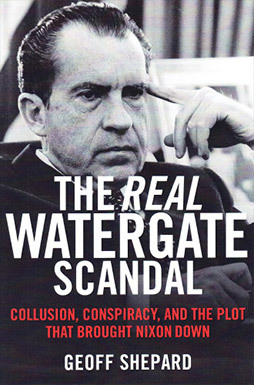 This is the latest review of Geoff Shepard’s The Real Watergate Scandal by Carl Tate, a guest columnist at The News Virginian. View the full review by clicking here.